Services — G.D. Newton and Associates Inc.
Planning a project is an important stage. The objective of the project needs to be consistent with the many regulations that will be encountered throughout the development process. Guidance can be provided which will assist in obtaining approval for the development resulting in the timely completion of the project. Commonly, design of public infrastructure includes lot grading, streets, sewer, water, drainage systems, etc. This may be part of an expansion or creation of a new community or development. All services can be tailored to meet the needs of the client. Each location is somewhat unique which may result in the need for a few specific services or all of the above services. Occasionally there are very unique circumstances that require detailed expertise that our firm does not possess. We have a good relationship with other firms that we can sub-contract with to obtain the expertise required to meet the client’s needs. Our services can provide the client with necessary expertise to take a project from the completion of design through to the completion of construction. This can include tendering, securing the services of a contractor(s), liaising with both the owner and the contractor, onsite supervision, quality control, payment management and final acceptance. We have handled projects that vary in magnitude from servicing an individual building to 100+ lot multi-million dollar land development projects. We have provided services to communities, developers and contractors that require survey or construction survey services. Surveying commonly includes topographically surveying a site prior to the commencement of a design process. Construction surveying typically includes layout of a construction site to allow a contractor to proceed with their work. It may also include verification of installation for as-built record keeping purposes or measurement of material moved for payment purposes. Volume measurement of stockpiles or gravel pits as part of a construction project is also a common request. Machine guidance technologies are commonly used in construction projects to increase productivity, accuracy and efficiency. We provide extensive machine control support on construction projects including the design and creation of project files, remote file management, survey equipment management, site setup and technical support. Proper drainage is crucial in the design of new developments. We provide services covering all aspects of drainage design such as conducting storm water studies and developing storm water management plans. Public or semi public water systems are required to be reviewed by a licensed professional engineer a minimum of every five years. The details of this requirement will be provided by your local officer of the Manitoba Office of Drinking Water. We have the expertise and staff available to prepare the required review. As well we will work with a client to develop the required plans to upgrade the method of operation or equipment as may be required to meet today’s regulations. 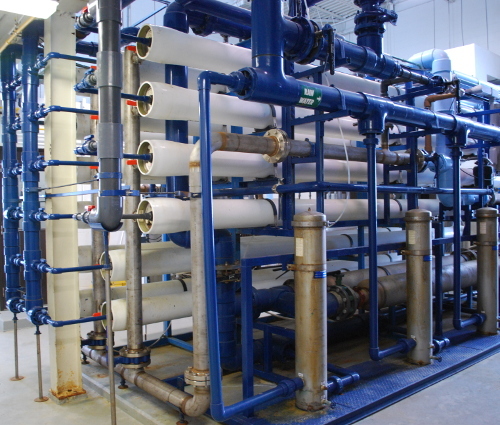 We commonly work with all sizes of potable water systems. These systems vary in size from servicing a few seasonal camping lots to communities that have a population of one thousand or greater.